A British comedian who works on an American comedy “news” show has described Australia as the most comfortably racist place he has been to. Before we look at the possible veracity of his claim lets first look at the definition of racism. So in my mind there is a certain sense of delicious irony in someone making a blanket statement about others (in this case Australians) based on their own limited interactions with said group to come to the conclusion that all of said group possess the characteristics that said person experienced in dealing with a small number of people from said group. So John Oliver is basically saying that based on his limited interactions with some people in Australia that ALL Australians are racist. Of course the article doesn’t state which Australians John believes are racist, but as we all know Australia is only populated by white people. Oh hang on, that’s not true. In this regard, John seems blissfully unaware of the countless Australians that have happily migrated here from other countries and now proudly consider themselves to be Aussies too. Are they Aussies too, or arent they included in his catch-all cry of raaaaaacism? Did he ask them what they thought of other ethnic groups in our society or would that not fit the tired narrative of white redneck bogans wearing aussie flags around their necks and thongs on their feet swilling XXXX as we light bonfires around the country? There will always be some people who don’t like other people who are different to them, but that isn’t to say that all of their brethren think like they do. That’s kinda racist man. If you deny or point out the ridiculousness of such a blanket statement, like I am here, then you are not only a racist but a racist in denial of actually being a racist. I think based on an objective assessment of John Oliver’s statement, John Oliver is an idiot. 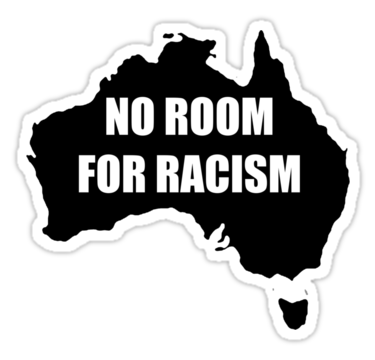 Not all Australian’s are racist, just as not all British are idiots like him. The only way to defeat racism is to treat EVERYONE as INDIVIDUALS and not stereotype people, regardless of their racial or cultural background.